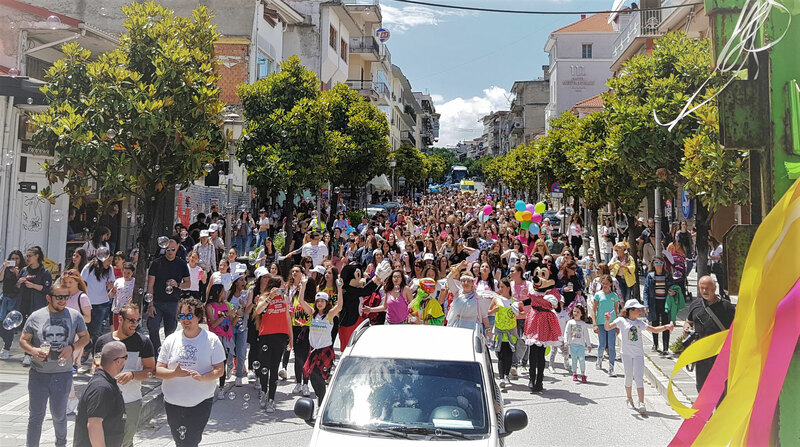 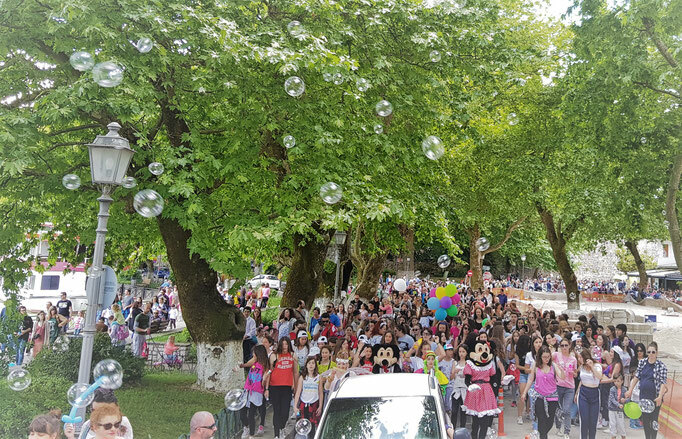 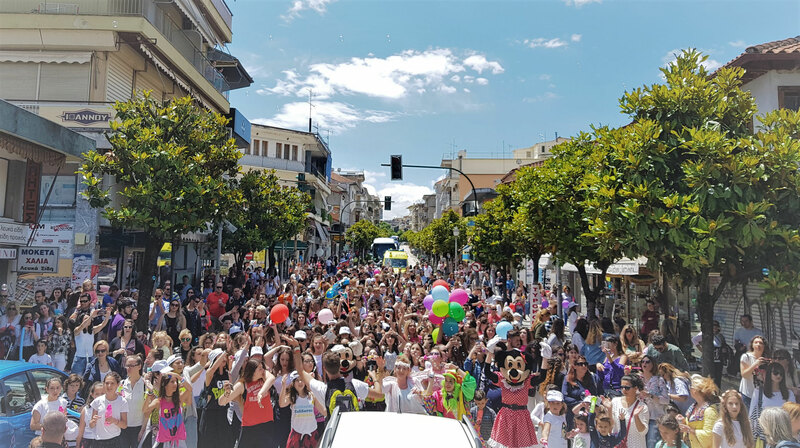 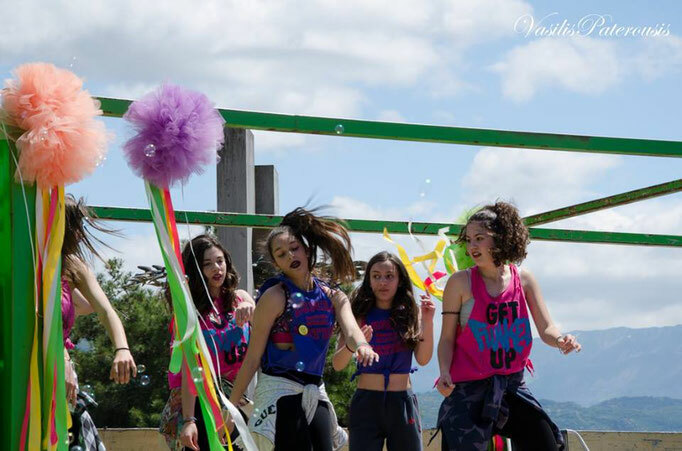 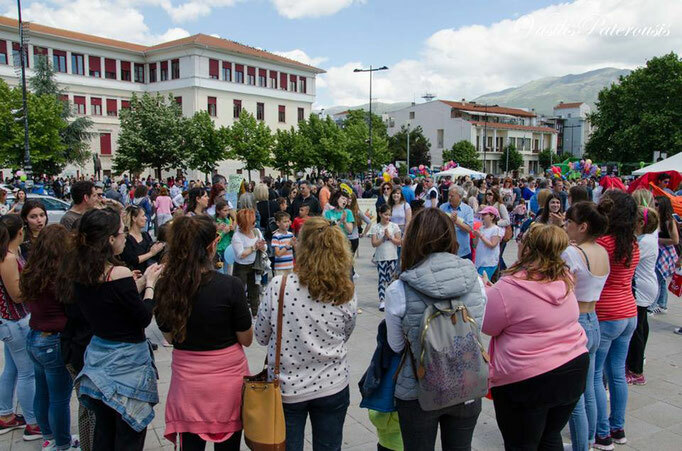 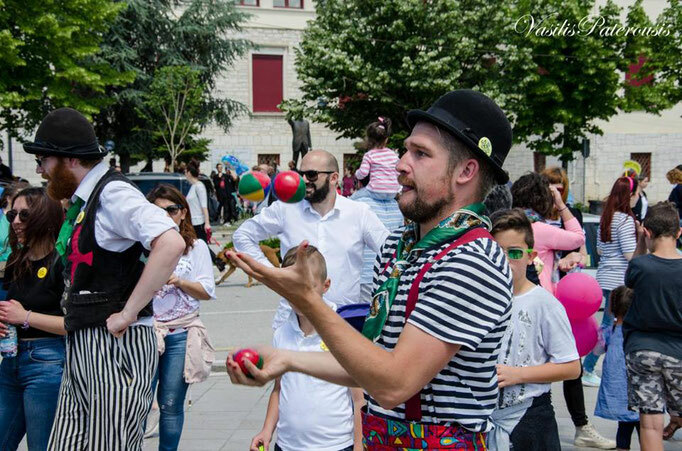 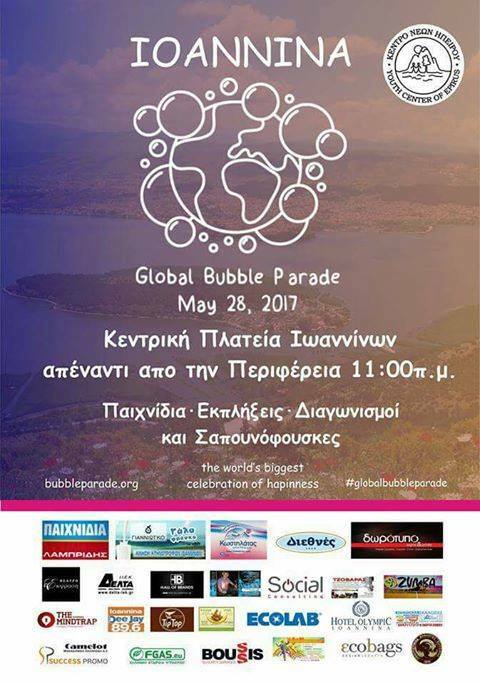 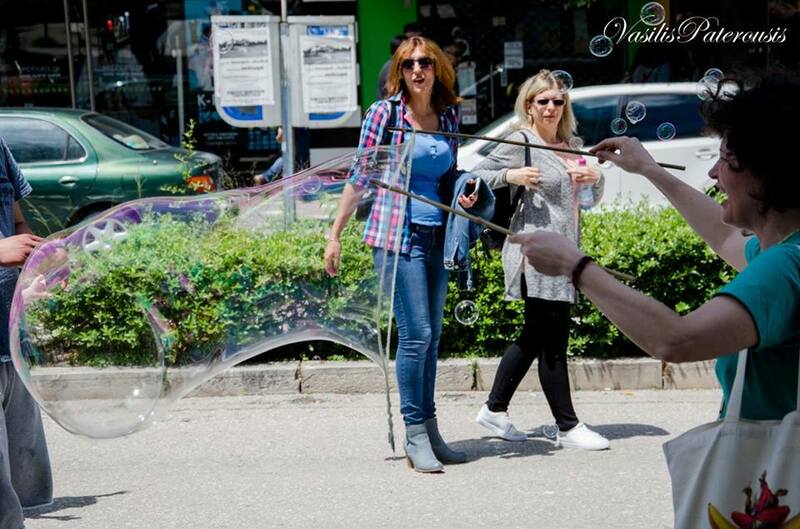 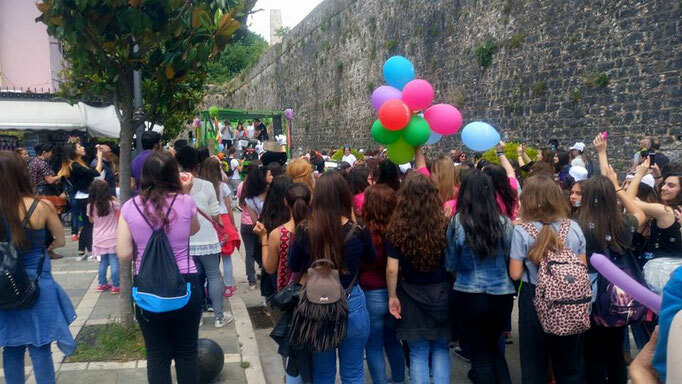 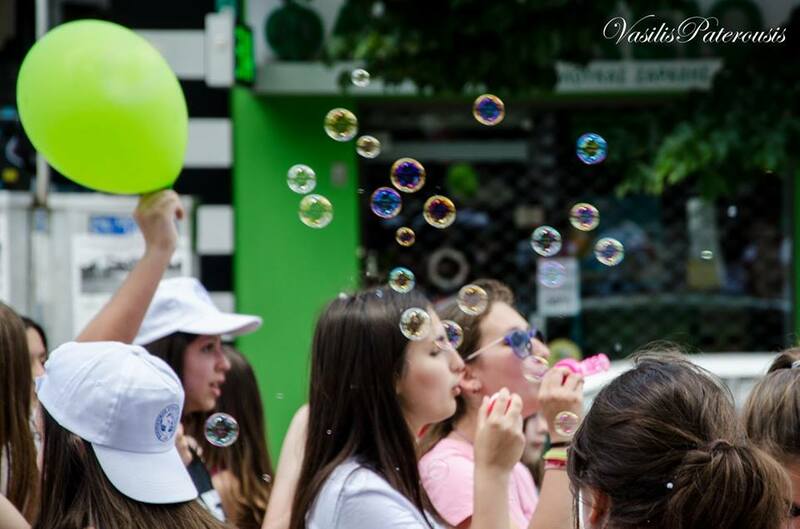 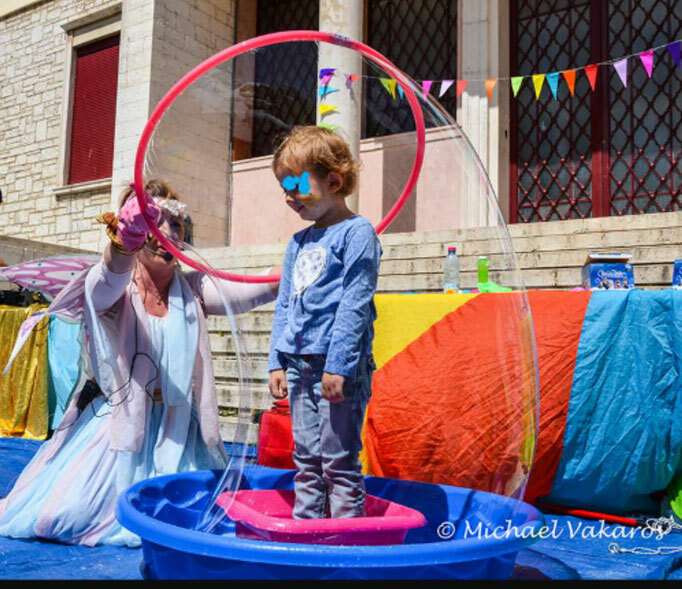 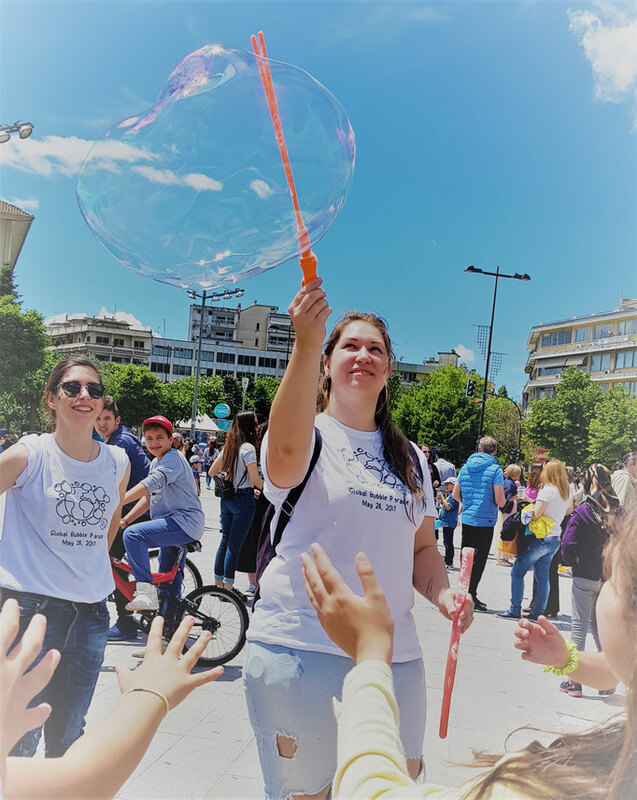 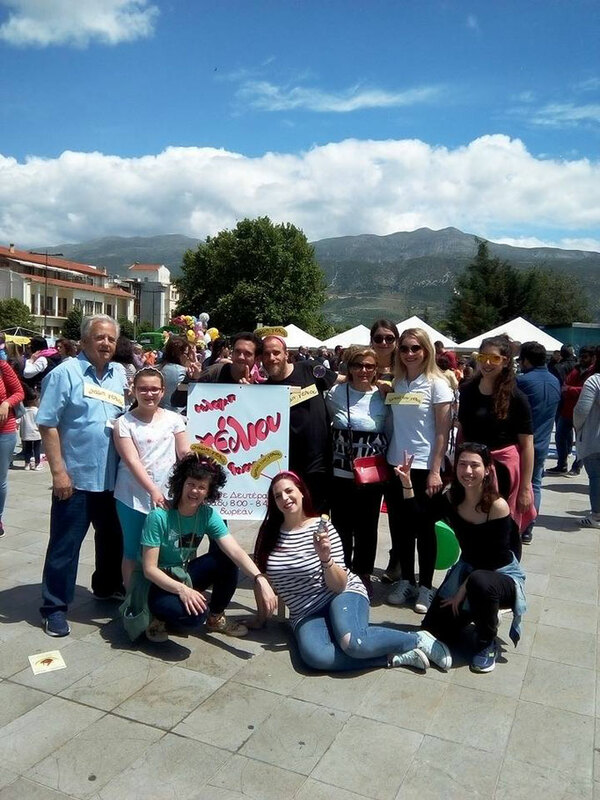 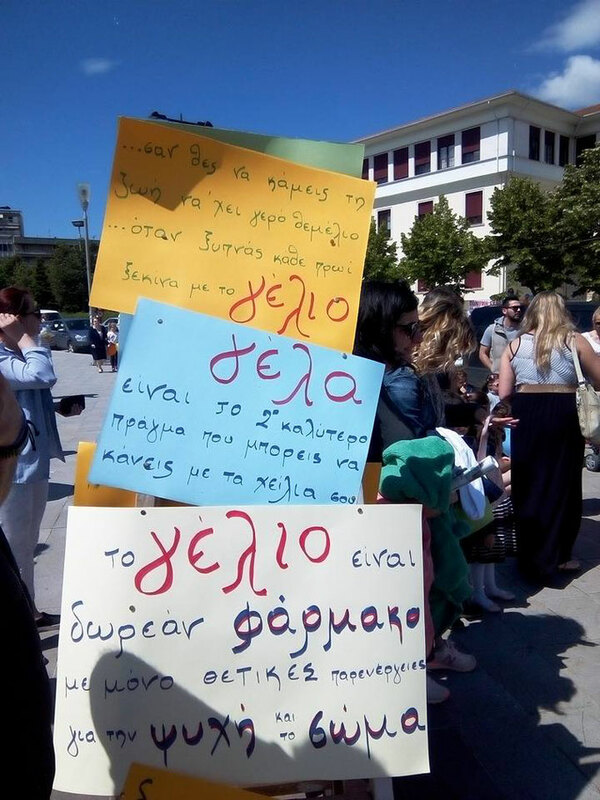 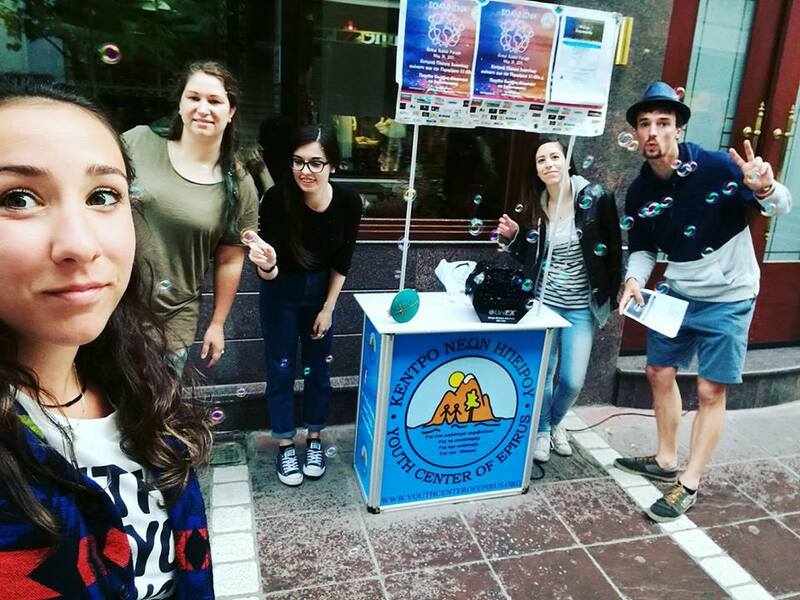 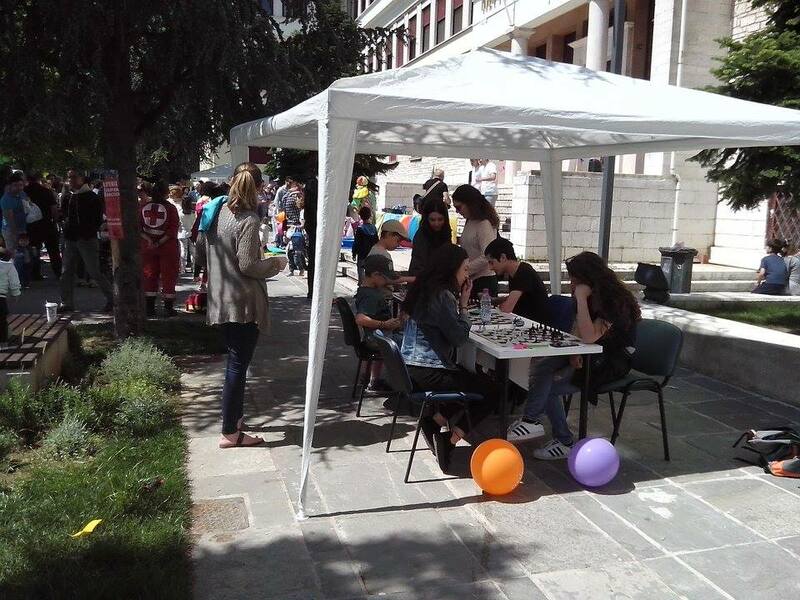 youth Center of Epirus organised the Global Bubble Parade event in Ioannina, 28th of May 2017 for the first time. 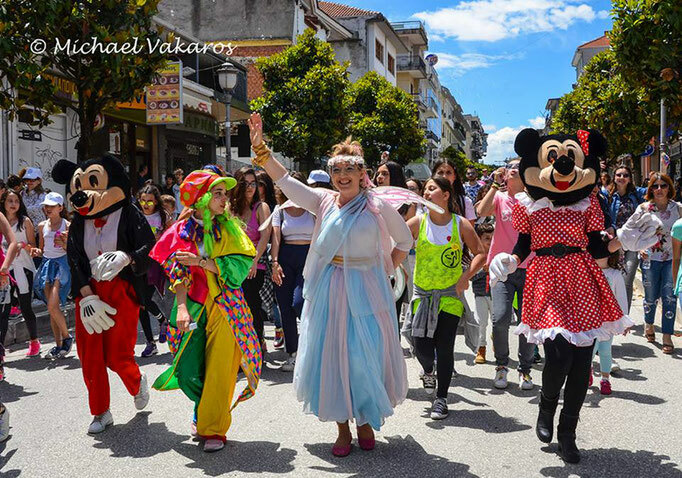 It started with an event in the main square of the town, where everyone could join various games and shows, basketball, chess, face painting, laughter therapy and enjoy some sweets and treats fr free from sponsors like Tip Top, Gianniotiko Gala, Diethnes and more. 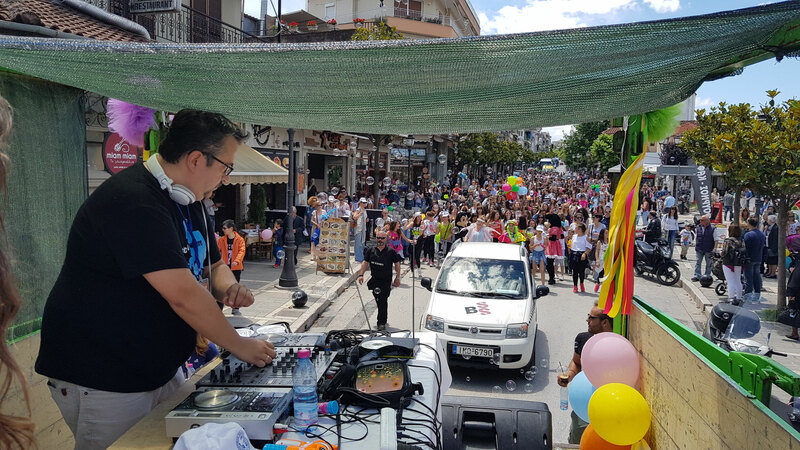 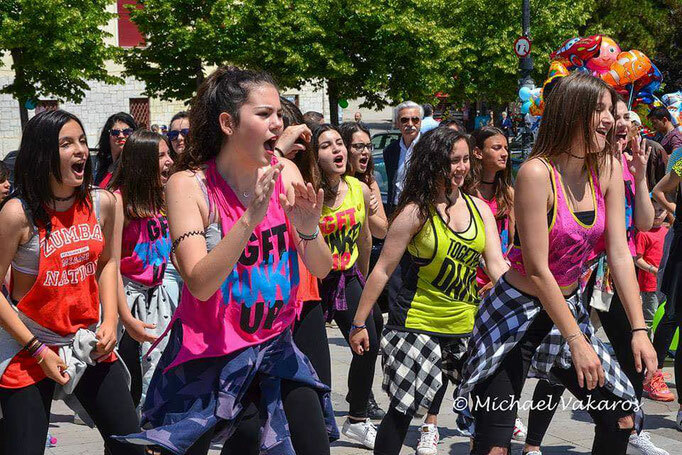 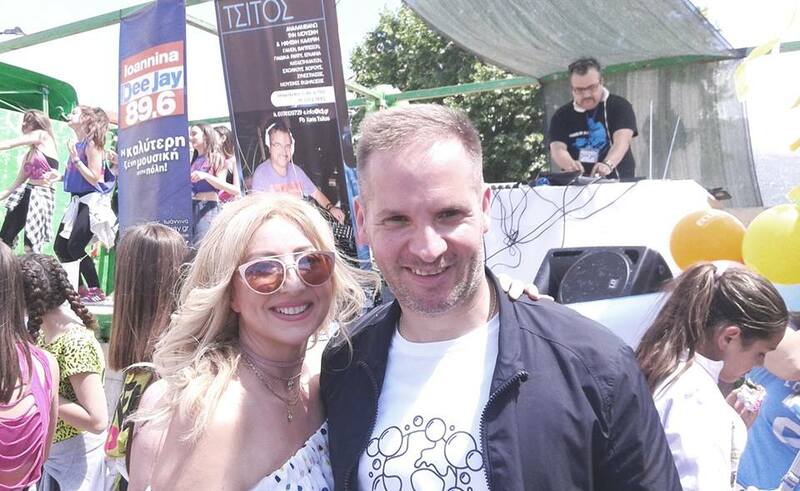 DJ from the radio station DEE Jay Ioannina 89.6 was there with the best music and zumba dancers showed off their best movies. 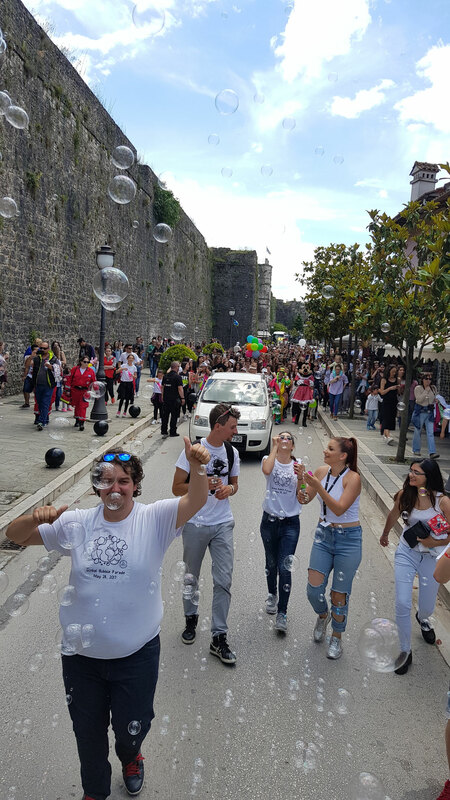 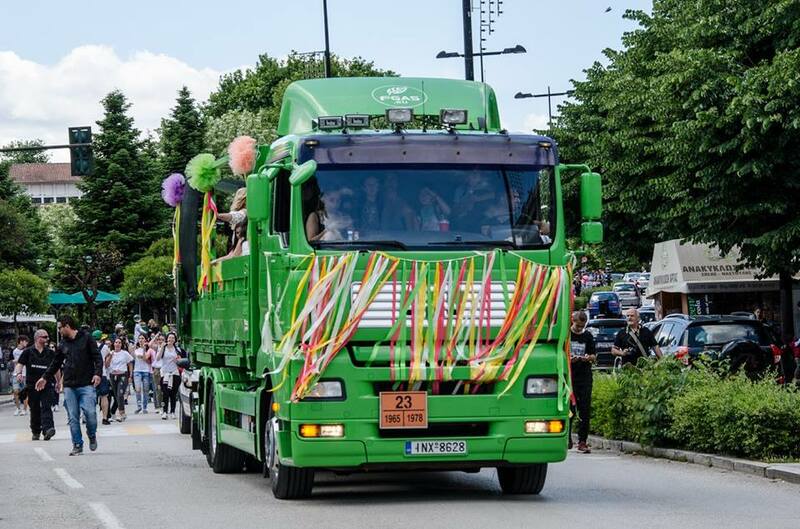 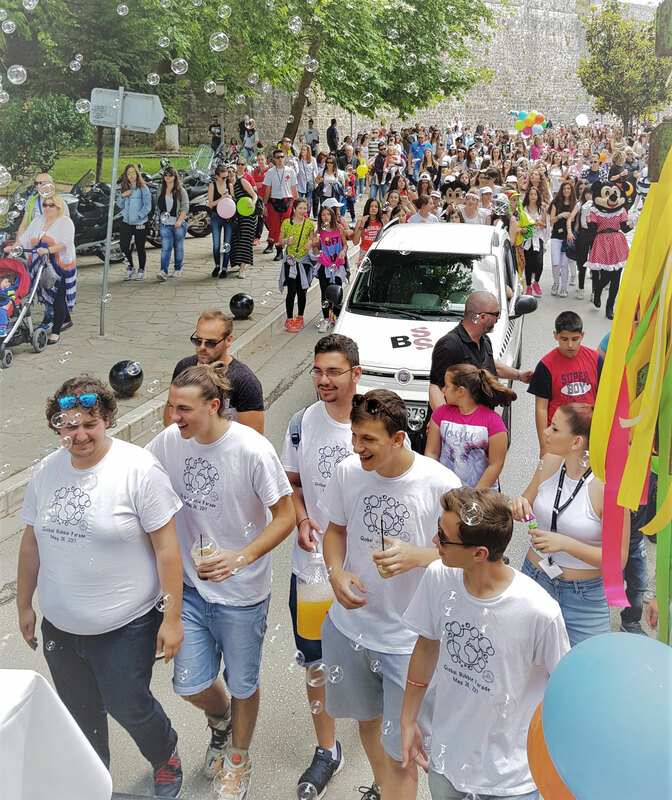 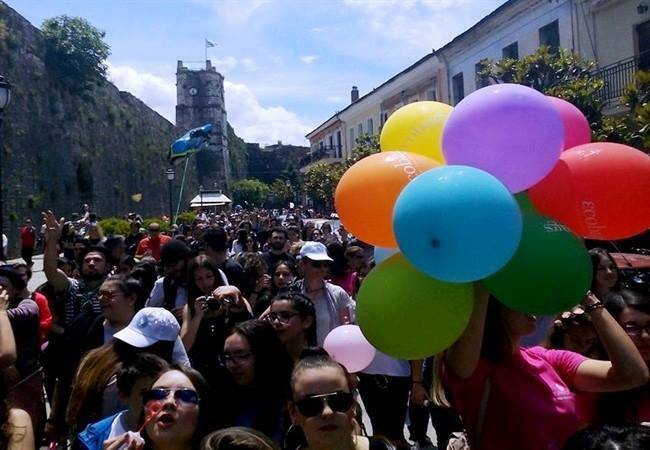 The the parade begun and everyone with thousands of bubbles walked from the main square of Ioannina to the Mavili square where a little party continued with some bubble shows. 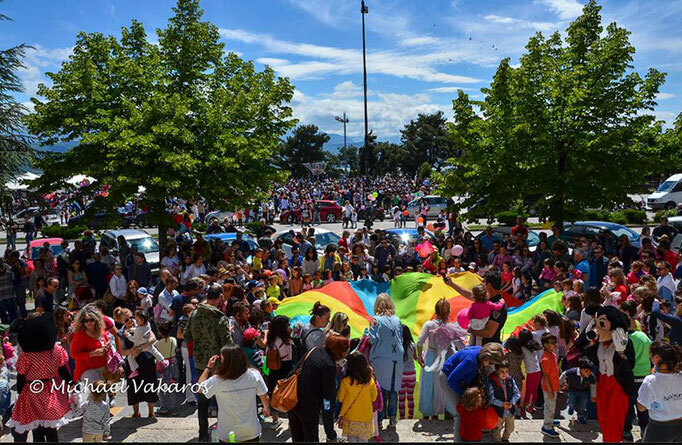 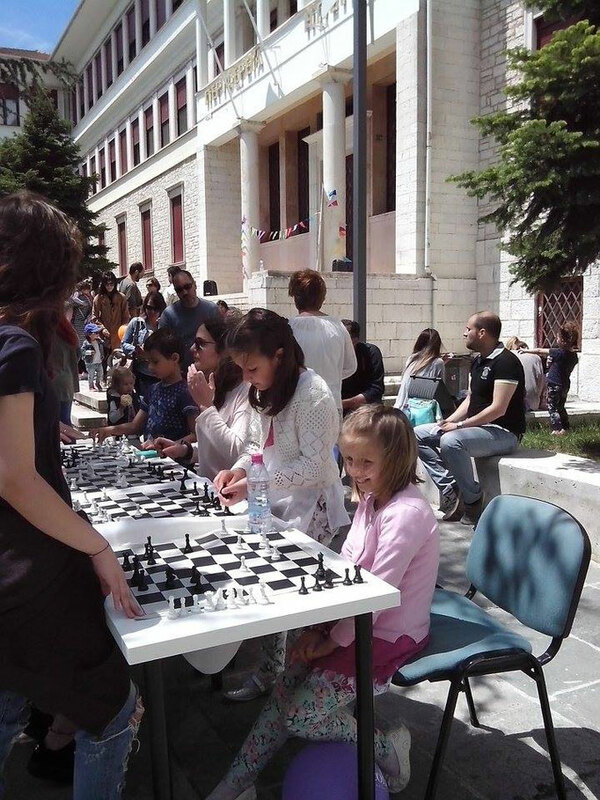 Estimated around 2-3 thousand people joined this community event to spread unity and happiness around the city! 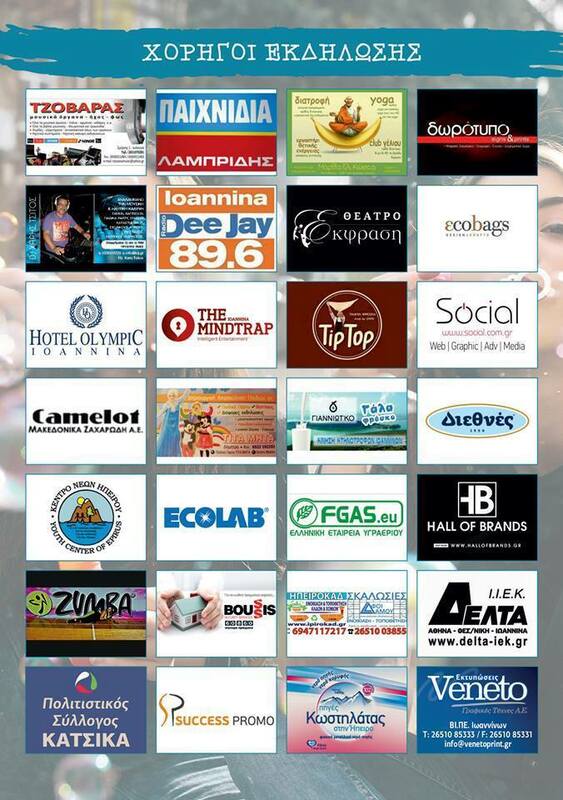 Thanks to all supporters and sponsors! 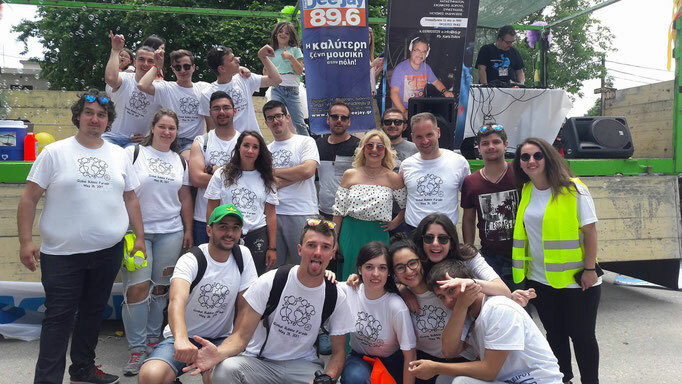 Special thanks to Stathis Sioutis from Olympic Hotel for support! See you next year! To see photos from the event, click here!